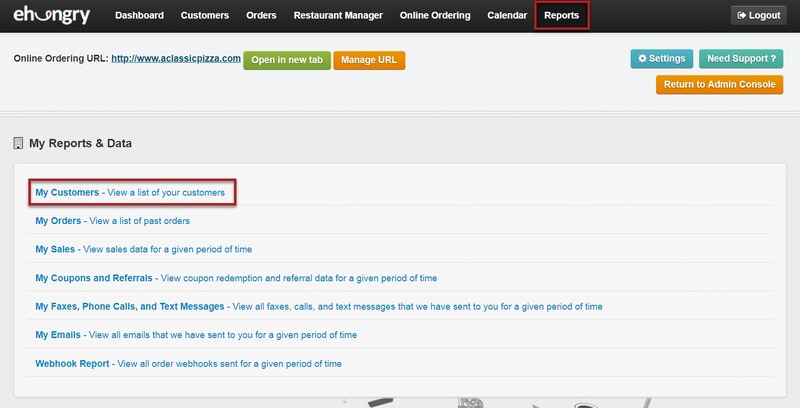 In your Online Ordering Console, you can Generate a Customer Report by selecting "Reports" from the main menu, and then selecting "My Customers - View a list of your customers". Here you can see your customer report, including name, phone number, email, an indicator if the customer opted in to receiving emails, address, order history and more. You can also export all the information to MS Excel. Note: This report only saves the info of "Registered Accounts", not Guest Checkout info.